The Habla Teacher Institute is a professional development experience in Merida, Mexico for all educators interested in activating their own creativity and finding new ways to explore the intersection of literacies, languages, and the arts. 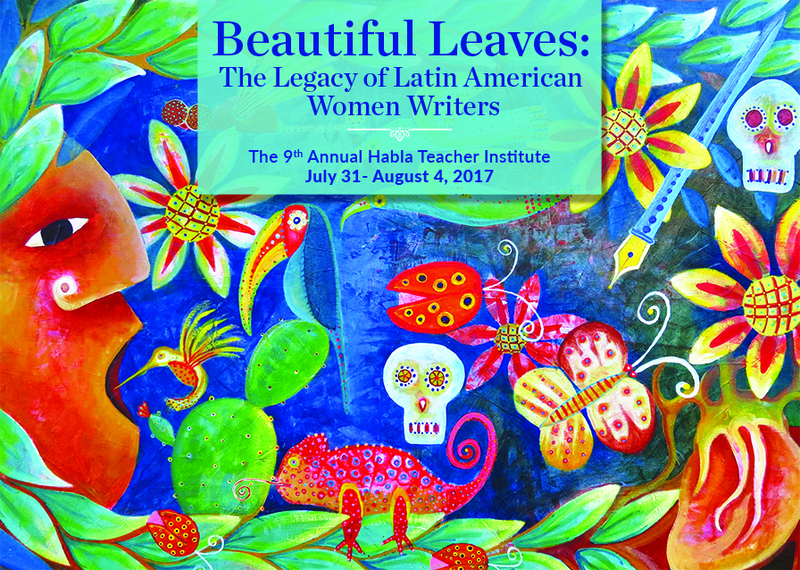 In this, the 9th annual Habla Teacher Institute, our focus shifts specifically to female writers of Latin America. We will read a variety of short stories, journal entries, and essays by women through the Latin-American diaspora including works from Sandra Cisneros, Julia Alvarez, Sor Juana de la Cruz, and Clarice Lispector. Throughout the week participants will create with multiple art forms, marrying text with visual art, music, movement, and theatre. As always, the goal of the Habla Institute is to model and develop ways to create meaningful experiences for students around literature and other rich texts in the classroom. The institute is always shaped around core texts, but all institute activities can be applied to any grade level and text, preschool through adults. The annual institute is hosted by ArtsLiteacy co-founder Kurt Wootton at the ArtsLiteracy lab school Habla in Merida, Mexico. This year co-founder Eileen Landay will also be presenting at the institute. For more information see Habla's website here.